Services are scheduled for 10 a.m. Friday, Nov. 18, at First Baptist Church for Velma Cykeitha Boyse. Boyse, 73, went home to glory with God Tuesday, Nov. 15, 2016. Rev. Rick Sullivan will officiate at the services, with interment to follow at Twin Oaks Memorial Park. Pallbearers will be John Yates Jr., Patrick Bowen, Brooke Owens, Colby Taylor, Rick Burks and Don Plotner. Honorary pallbearers are Larry Lynch’s Sunday School class and her Abo Petroleum family. Visitation will begin at 10 a.m. Thursday at Terpening & Son Mortuary. Cykeitha was born April 6, 1943, in Artesia to Leslie “Fat” Aaron and Velma May Tennison. On June 8, 1961, she married Jimmy Boyse at First Baptist Church. She was a lifelong resident of Artesia and an active member of First Baptist Church. She loved her Sunday School class (Larry Lynch’s class). 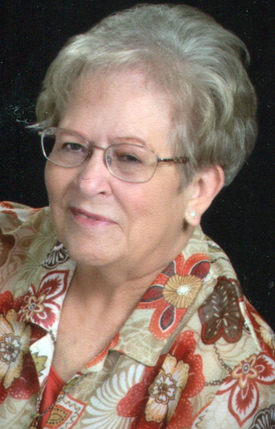 She worked as a bookkeeper for Abo Petroleum for almost 40 years and loved her Abo family. Cykeitha was a beloved wife, mother, friend, and an awesome woman of God who lived her faith out loud. She had a long battle with lung cancer, had a heart attack, then a stroke. She never once questioned God or got angry; she just accepted it and knew God was going to be glorified through it. She always had a smile on her face and a word of encouragement. She knew she was going to be healed and was ready to be healed in the ultimate way. She loved the hymns of faith; in fact, when she couldn’t respond when she heard a hymn, she just smiled. Survivors include her husband, Jimmy Boyse, of the family home; sons Benny Boyse and wife Kathy of Artesia and Rex Boyse and wife Esther of Weatherford, Texas; her pride and joy, her four granddaughters, Jocelyn and Hannah Boyse of Artesia, and Crystal and Cassidy Boyse of Weatherford; brothers Wesley “Buddy” Aaron of Tucson, Ariz., and John Aaron and wife Candee of Sun City, Ariz.; sister-in-law Nan Clayton and husband Jack of Carlsbad; and several nieces and nephews. Memorial contributions may be made to the New Mexico Baptist Children’s Home in Portales or the American Cancer Society.